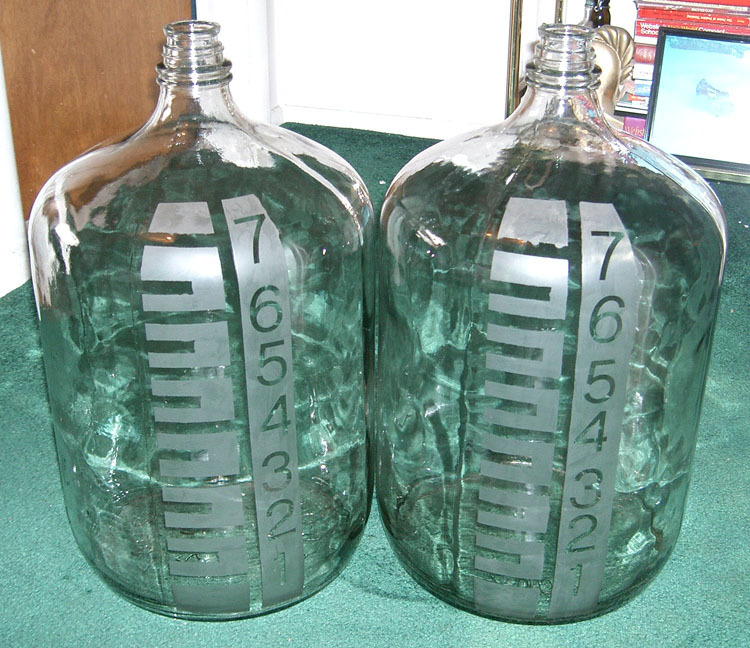 This shows how I etched gallon/half gallon marks on my carboy using glass acid etch. 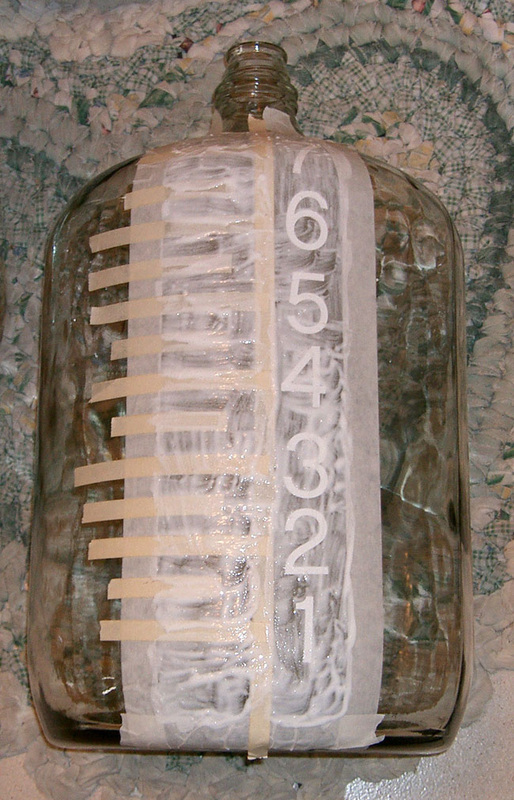 Add a half gallon of water at a time, and mark it with the masking tape. I just centered the 1/2" tape over the water line. 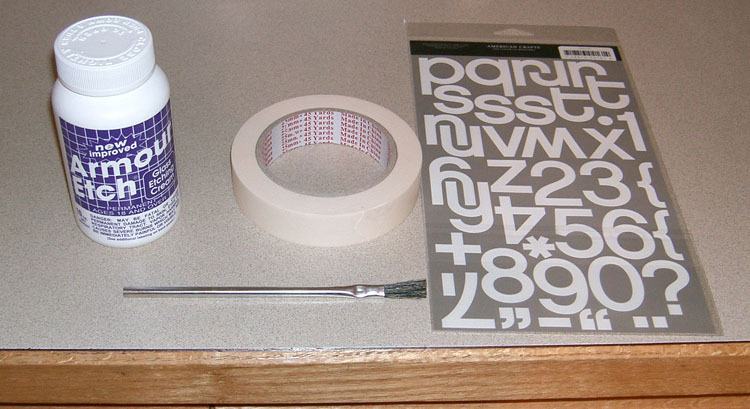 Then add your numbers from the stencil set. Then dump out the water. Add the etching cream with the flux brush and let sit for about 10 minutes. 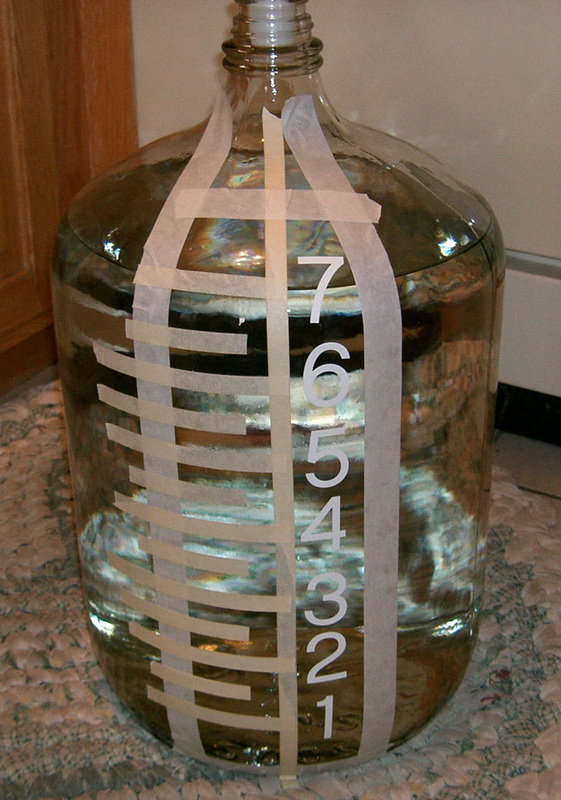 Wash off the acid with tap water and remove the masking tape.